Japs moving out. Truck after truck loaded with troops evacuating Manila. All Jap cars camouflaged with leaves. Mindoro landings have struck fear in Jap hearts. The end is near. Puppet government of Laurel transferred to Baguio. They left in a hurry. The presidential convoy was escorted by Jap troops and P.C. soldiers. Remaining Jap soldiers are desperate and despotic. Sentries are reenforcing their barricades. Passers-by are searched. All vehicles are being commandeered: Cars, trucks, carromatas, dokars, bicycles and push carts. All Filipinos except puppet collaborators walk. Only Japs ride in cars. People who did not know of the order were stopped in the streets, their cars, bicycles or carromatas taken away from them without pay. A cochero was very angry: “They’ve taken away my only means of livelihood” he said. House-to-house search started in Malate and Ermita districts. Papa is very nervous. The Japs have sealed the Crosley and Buick. They’re demanding that we produce the tires of the Buick. Pa said that he sold them already. A Jap neighbor took one of our carromatas. Aquino said that he liked the speech of President Sergio Osmeña from Leyte. “I liked particularly the part where he counseled the guerrillas to act discreetly regarding collaborators because among them are men who are there because they have been forced and because they had nothing but the people’s welfare in mind. Aquino said “What that speech I have enough…..”. Manila is worried about the recent drastic acts of the Military Police, the Japanese equivalent of the German Gestapo, Recently, it has been rumored that Dr. Antonio Sison, head of the Philippine General Hospital and President of the University of the Philippines was arrested at his home by members of the Military Police. Other prominent doctors that have disappeared are: Dr. Nicanor Jacinto, famous Manila surgeon and head of Doctor’s Hospital; Dr. Miguel Cañizares, tuberculosis expert and head of Quezon Institute and Dr. Jose Jose, head of a provincial hospital. In the recent “zonification” (technical name for mass arrest) of Teresa, five men were killed by Japs because they were suspected of guerrilla activities. In the mass arrest at Polo and Obando, more than 500 people were massacred to death. All the male citizens were locked in the church. From the pulpit, a hooded informer was made to point out guerrilleros. Those pointed out were beaten with wooden bats. The Municipal treasurer was hung upside down and killed by trained military hounds. Other suspects were burnt to death. Still others were drowned. A group of ninety were made to dig their own graves then machinegunned or bayoneted according to the sadistic inclinations of the executioners. In Imus, Cavite, the military governor, Col. Castañeda and the provincial commander, Col. Javallera have escaped to the hills. 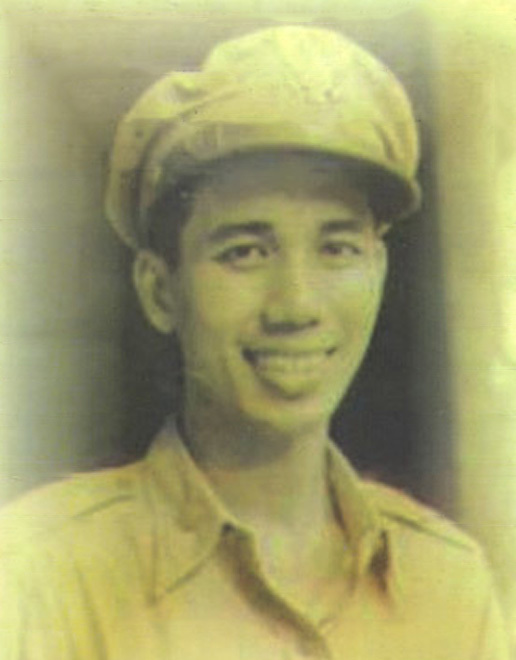 Japs “zonified” Imus and killed all men who fought in Bataan. Many innocent men were killed. In some cases, wives of suspects were abused. Reign of terror exists at present in Imus. Meanwhile, as the days pass by, more men die of hunger in the city. Today as I walked downtown, I saw a haggard, skeletal figure, dressed in rags, steadying his weak body at the iron gates of Jap residence while begging for food. Near a restaurant in Avenida Rizal, there was a young woman lying on the dust-covered pavement and death froze her hands in an extended, pleading, gesture. In the slums of Sampaloc, five little girls sat on the sidewalks, thin, gaunt, dirty, begging all passer-by for “rice, please, rice.” I saw an old man with a semi-crazed look in hid eyes searching a garbage can for food. I also saw a Jap truck filled with sacks of rice guarded by soldiers with fixed bayonets. Significant developments. Puppet P.I. government moving to Baguio. Laurel and all Ministers including Manuel Roxas scheduled to leave for Baguio last night. Jap Embassy also hurriedly packing to transfer to Baguio. Jap Dept. of Information burning papers, will continue propaganda in Baguio. Speaker B. Aquino remained in Manila, promised to go up after wedding of his son Billy. Minister Antonio de las Alas expressed fear Japs will eventually bring P.I. cabinet to Tokyo. Gen. Paulino Santos, head of P. Constabulary, will reside in Malacañan. Japs planning to give Sakdals thru Makapili more extensive powers in Manila government. Further indications Japs vacating Manila: big shipyard and iron works in Findlay & Miller docks being dismantled; ammunition dump in Pinaglabanan being transferred. All telephone installations of buttai 2944 in City being removed. Jap leather factory in Aviles has stopped work. Wives of Jap civilians left by train last night. Preparations to move sick Jap soldiers from Quezon Institute now underway. Non-stop movement of troops, trucks, tanks, artillery in Manila roads. Soldiers are in full pack. Trucks loaded with supplies and baggages. Roads leading to the outskirts of Manila filled with Japs leaving the city hurriedly. Manilans agog by these new developments. Morale of people has risen to skies. Jap morale evidently on the downgrade. An old Jap who had been here 10 years said: “What do you think of all these things?” Manilans think Americans will be in Manila by the 15th of January. Landings will be effected “maybe before Christmas or New Year”. People suspect landings in Batangas. Everybody is in gay spirits. “No better Christmas could be had!” some say. Talk of open city revived. Victor Pagulayan, assistant manager of Naric, dying. After leaving Fort Santiago he was brought to the hospital. Several liters of water have been taken from his lungs. Indications rise that RICCOA, newest rice agency, may be able to distribute around 600 sacks for Manila before Christmas, if Japs permit. It is reliably known that Japs have recently decided to take “all rice that can be procured from Central Luzon because of military needs.” Rice to be harvested will not be deposited in Jap bodegas in City. Harvest will be stored in warehouses along Central Luzon. This again indicates Jap intention to leave Manila. This will naturally worsen food situation in City, increase hunger-deaths. Doctors of San Lazaro hospital estimated that deaths due to chronic hunger in city around 500 daily. Many walking in streets can be seen suffering from vitamin deficiencies. Beri-beri rampant especially among lower classes. With all these significant developments, I am of the opinion that Gen. Yamashita recognizes the untenability of defending Manila. The more troops he keeps here, the more will be sacrificed. Manila is indefensible due to its many exits and entrances. Consequently, Yamashita has taken away from city all material and people like the puppets whom he would not like to see in the hands of Americans. He has sent the bulk of his troops to the north. He has sent a minimum force to guard the coasts of Tayabas and Camarines and Batangas, most possible landing points. Yamashita realizes that his troops in the coastline will only be decimated by U.S. aerial and naval bombardment. Coastline of P.I. is flat and open. No natural protection to defenders from skies. Yamashita expects to make his stand in the north with his back to Japan. There he has natural protection, mountains, cliffs and food. Meanwhile collaborators have changed tune, speak differently. Even Aquino is changing his opinions. Opportunists, perhaps. Guerillas are increasing in numbers. Some believe capitol of Batangas, taken by guerillas, with aerial support. Heard people talking about it in street-corners yesterday afternoon. The news spread like wild-fire: landings in Mindoro, Mindoro, Mindoro. The Japs are stumped. American planes had complete dominion of the air over Luzon. They kept flying over Manila all day yesterday. From the morning of December 15th to the evening of December 17th, Americans were in the air, bombing, strafing, reconnoitering. Traffic of trucks, movement of troops and supplies, were completely paralyzed. Bridges in Calumpit and Pampanga were bombed. Japs couldn’t move around in their cars, trucks, trains and boats. Not a single Jap plane flew up to challenge the Americans. Many and varied comments from people yesterday: The bombing was very accurate. The American planes circled over targets many times before dropping bombs. Japs have spread their dumps in private houses. Guerillas have given information to the Americans. Accuracy was important. They had to hit targets in between residences of civilians to minimize destruction and casualties. I saw an American plane flying just above the rooftop of our neighbor’s house. It flew very low. Radio reports that 245 Jap planes were grounded in the Luzon area. This morning in church the people forgot about the non-stop three-day raid, talked about the landings in Mindoro. Many people that were already depressed by the ‘delay’ in Leyte because of the Jap stand in Ormoc coupled by the bad weather, had happy faces in church this morning. Some think: “New Year’s” …Happy New Year! People believe landings will be effected in Batangas. It is very near Mindoro. “You can swim across,” said someone. Personally, I believe the Mindoro landing is just a feint. A diversionary move. Main effort will be exerted in the eastern coast of either Tayabas or Camarines. MacArthur now has the Jap Commander-in-Chief guessing. “Where will Mac land?” is the question today. Second question: “When will he land?” As far as I am concerned, I don’t care where, I only care for the ‘when’. I am damned tired of waiting. Greatest surprise to most people has been the Japanese admission that landings have been effected by Americans in Mindoro. This is a great change in their news dissemination policy. Previously, they kept quiet about such landings. Now they have announced it as soon as possible. Japs probably realize that they can no longer fool the people. You can’t talk of “Japanese aerial superiority” when Americans skylark without a single Jap interception. You can’t say there are still no landings when you hear the roar of cannons. Japs probably want to prepare the people’s mentality. They want to prepare them for the big thing: the landings in Luzon. Japs have not yet admitted Leyte campaign is finished, because they keep saying that their para-troop units have captured several aerodromes in Leyte. Meanwhile food prices are going higher and higher. The masses can no longer afford the food. No rice. No viands. Only vegetables at prices that are fantastic. I went biking yesterday to see the effect of the bombing yesterday and to hear the comments of the people. Streets were empty. Traffic was paralyzed. Army trucks and cars moved around with camouflage nets. Many sentries posted in street corners. 42 civilians were wounded in Parañaque. Saw them in corridors of the P.G. Hospital. Most of them were hit by Jap A.A. shells which fell short. Raid yesterday was non-stop –from morning to afternoon. I saw fires burning in the direction of Grace Park and Nichols and Murphy and McKinley. People from San Juan say that a low-flying plane strafed a Jap truck crossing the bridge killing 4 persons. Consensus of opinion is that much damage was done to military installation. Last night, conversation was on probability of landings. Some believe Americans have landed already somewhere in Luzon. Heard three big explosions last night –one at 2 o’clock also. Vic and Neneng wounded. A Jap shell landed near the house. Yesterday 3 exploded but no one was injured. Posted on December 16, 1944 Author Manuel L. Quezon IIICategories Diary of Felipe Buencamino IIITags Felipe Buencamino III, Fort McKinley, Guadalupe Buencamino, Manila, Parañaque, Victor Buencamino Jr.
A lot of things have happened during these last two weeks. Yesterday, we had an all-day raid, from morning to afternoon. I saw the Jap planes flying very early. “That means”, said someone, “there is going to be a raid because the Japs always hide when the Americans fly over.” Sure enough, there was another raid, hooray! And not a single Jap plane put up a fight –at least I didn’t see any. The Americans were flying very low –sometimes above rooftops. One fighter flew just above the house and I saw the U.S. insignia. The people in the field started to cheer and cheer. Must stop writing. There is another raid. Unable to write during last few days because of my malaria. I didn’t feel like doing anything. Felt like the old days in Bataan and the long, horrible months in the concentration camp. Raids last Saturday. Saw planes bombing Grace Park. First few bombs immediately hit objectives. Black columns of smoke shot upward to sky. Planes dove and dove at objectives again and again. Thrilling sight. Read an Osaka Mainichi paper, a back issue. It was all about the fall of Saipan. This was a great loss to Japan, a severe blow on Jap morale. With its fall, Jap editor admitted that U.S. has perforated inner defense circle of Japan proper. Continuous rumors of shelling in eastern coast of Luzon. A total of 9,000 males are included in the first draft for compulsory labor in Jap airfields, port installations and other military establishments. The names of those forced to serve have been sent to neighborhood presidents who will in turn forward the names to neighborhood leaders who will then inform the draftees to appear in a certain place at a certain time until an Army truck brings them to their working places. Stiff penalties ranging from heavy fines to many years of imprisonment and even death will be imposed on those who evade the labor conscription. Meanwhile Tribune editorial claims it is an honor to help in the defense of one’s country and that Filipino youths should be proud Japs are willing to make them work side by side with them. Malacañang however is very silent. Instead Laurel gave a dinner party honoring T. Yamashita, new commander-in-chief. Yamashita pledged “to defend Philippines even at cost of my own life.” Tribune stated that Filipino leaders (puppets) were impressed at the energy of new-commander-in-chief. Meanwhile guerrilla activities in Luzon have been intensified. There are strong rumors that a submarine landed several officers from Leyte with orders from Gen. MacArthur to give final instructions to guerrilla troops. It is also believed that guerrilla bands are being united at present under one leader for unity of command and to make efforts more effective. Listeners over Voice of Freedom are worried because Brig. Gen. Carlos Romulo has not spoken for the last three days despite previous announcements by Voice of Freedom that the general will speak daily for the Commonwealth Government. “Has he been hurt? Is he sick? Or Maybe he returned to the States? Or is he in some battleship on way to Luzon?” nobody knows, many guess, everybody is worried. Japs are happy because he used to say a lot of things that was embarrassing for them. From Baguio however comes the news that Mrs. Sergio Osmeña, wife of President Osmeña, has disappeared with daughter. People are wondering if the Japs have taken her or if she is hiding with guerrillas or if she is now on a submarine to Leyte. People too are asking if Sergio Osmeña Jr. who has been collaborating with Japs is with Mrs. Osmeña. Guerrillas were after Serging’s neck because he was a shame to country and to his father but they have not taken drastic action against him “in deference to his father.” Reports from Pagsanjan also reveal that Mrs. Carlos Romulo and children have also disappeared. It is known definitely however that the Romulo family is at present hiding with Luzon guerrillas. One son of the general, Carlos Jr. is an officer of the underground forces. Servants from Bay View Hotel state that “there is an American aviator, a tall fellow, in the seventh floor”. The American aviator parachuted when his plane was hit by an AA shell. The aviator said that he had been in Europe with the bombers raiding Berlin. Just finished reading Philippine Review, a Jap controlled magazine. It claims that balance of war in Europe is in favor of Axis. It gave no reasons. I didn’t expect to find any.